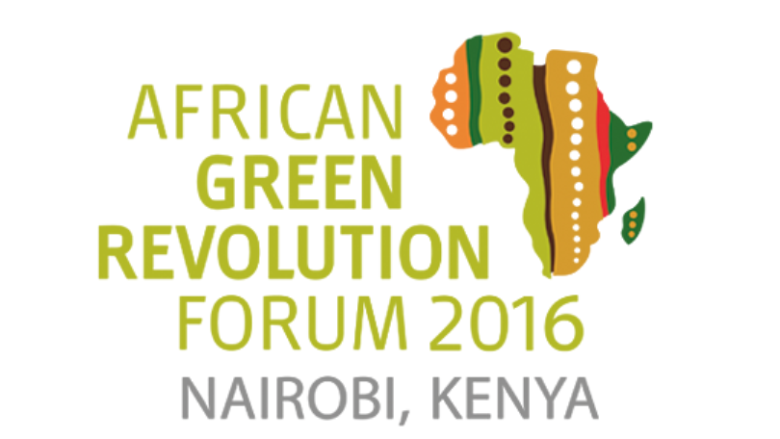 On 8 September 2016, the International Livestock Research Institute and partners held a working session at the 2016 African Green Revolution Forum on transforming dairy value chains in Africa: Pathways to prosperity. What are some of the promising approaches used to help smallholder dairy farmers and other value chain actors become more prosperous? What are the some of the most promising lessons learned from dairy value chain transformation and productivity improvement that can be shared across the continent? The session started with a brief orientation on dairying and development prosperity by Jimmy W. Smith, Director General, International Livestock Research Institute and Andrew K. Tuimur, Principal Secretary in the Kenyan Ministry of Agriculture, Livestock and Fisheries. The focus then shifted to lessons and experiences transforming dairy value chains. Isabelle Baltenweck (ILRI) introduced the EADD project’s hub model; ILRI Tanzania dairy value chain project leader Amos Omore introduced ‘pre-commercial’ experiences with hubs and platforms ; Carmen Jaquez (Land O’Lakes) reported on cooperative models from Southern Africa; and Abdallah Twahir (GALVmed) explained ways to deliver animal health services to empower dairy value chains. After the short presentations, the 80 or so participants formed small groups to react on the lessons presented and ways they could be more widely disseminated. Role of feeds did not come out clearly, though key to dairy. Take advantage of cooperative movement to transform dairy. Need for market linkages, their importance, especially for productivity and value addition, capacity building and sharing experiences. Governance and leadership key to build success. Engage with private sector to increase access to services. Multi-stakeholder involvement key in making dairy successful (case of milk adulteration). Essential to factor in gender-targeted approaches. Key role of markets, enhance feed conservation and availability. Potential of animals and animal productivity gap question? Issues of seasonality of production, limited capacities to absorb milk. Impact of disease in dairy sector, success of cooperatives despite gaps in different regions. Different models across countries. Need for reliable supply so supply chain works. Use cooperative for scaling, need for dairy infrastructure to reduce spoilage. Engage private sector on markets access and information. Learn from success cases, map value chains and their players. Cooperatives to aggregate models/success. Insects? Need for awareness for different approaches so best ones are adopted, aggregated? Smallholders need help to access replace animals. Business aspect of dairy is strong and can be made profitable based on successful models. Expand domestic markets; address intra-regional trade gaps especially in Africa. Need for exchange programs between countries, scale up extension, research and private-public partnerships. More about breeding programs, upgrade African cattle genetics. In the final synthesis element, Andrew Tuimur zoomed on the following points: the need for better public-private partnerships; the question of feeds where we must learn from farmers mixing feeds to reduce costs; and finally the issue of breeds, are there indeed ways that larger farmers can supply animals to small farmer? He noted that heifers need to be affordable. Jimmy Smith emphasized that we need to get the livestock message louder. Noting that every year 11 million more people are added to Africa’s workforce, looking for jobs and livelihoods. He argued that dairy is a fabulous industry to reach this youthful workforce. The question is how to capitalize on the youth bulge to take advantage of these opportunities. He concluded noting that we must consider the realities of seasonality in dairy production. Notes by Paul Karaimu from ILRI.